Who is this for? 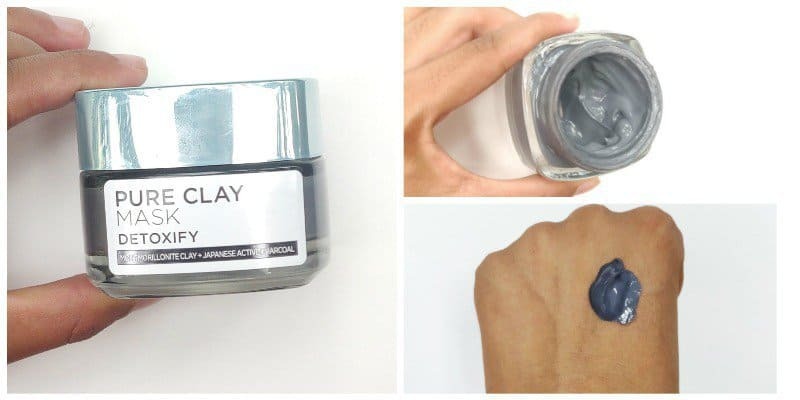 Loreal Pure Clay Mask Detoxify Is for those looking for a detoxifying clay mask with charcoal. Price and quantity: 50g for 750 rupees. Comes in a thick glass bottle and can be carried around easily in case of travel. Its texture is thick and on the facial skin when applied you can feel the smooth effect. The charcoal odor was evident but it was a tolerable smell nothing strong and will not irritate the nostrils. After cleansing your face with any mild face wash of your choice you can apply this charcoal filled mask which gives cool sensation on the skin and keeps it for 10 minutes. With that, you can always keep your cool cotton pads for eyes. It dried up quickly works for your instant party beauty regime. After that wash your face and pat dry. Easily removable and complete it with a light moisturizer. My experience with loreal clay mask was extremely good and I can say that it is worth the money. Very effective for instant glow which stays for two days and works well on removing blackheads. Your face looks clean and healthy with closed pores. Can be used for oily skin but does not help in removing pigmentation or acne. Oil-free face for two days. Less in quantity for the expense given. Definitely a product worth the buy. I would recommend it, helps you to pamper your skin. The Body Shop Tea Tree Skin Clearing Clay Mask – Worthy Summer Remedy? Bobbi Brown Skincare Instant Detox Mask – Hot or Not? Ren Mask : Clarimatte Invisible Pore Detox Mask ! it would definitely, i have oily skin too.